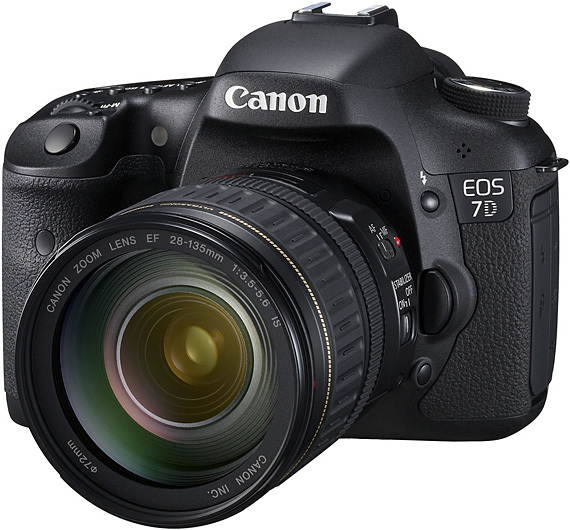 In 2009: As anticipated Canon has today announced the EOS 7D digital SLR. It boasts a new 18MP APS-C CMOS sensor, Dual DIGIC 4 processors, ISO range expandable to 12800, continuous shooting at 8 fps and full HD video recording. It also incorporates a new viewfinder with 1.0x magnification and 100% coverage and a 3 inch LCD with 920k dot resolution. Canon today unveils the EOS 7D digital SLR camera – a completely new design to meet the specific demands of photographers. Incorporating a new 18MP APS-C CMOS Sensor, developed by Canon, the EOS 7D also features: Dual “DIGIC 4” processors to offer fast, high-quality performance in all light conditions, an ISO range expandable to 12,800 and continuous shooting at 8 frames per second – without the need for additional accessories. Impressive technologies are matched by excellent build-quality designed with the photographer in mind – to create a whole new photographic experience.